Last Saturday was bridge night. Sandy, Kathie and I carpooled. We met at Sandy's, and Kathie drove. 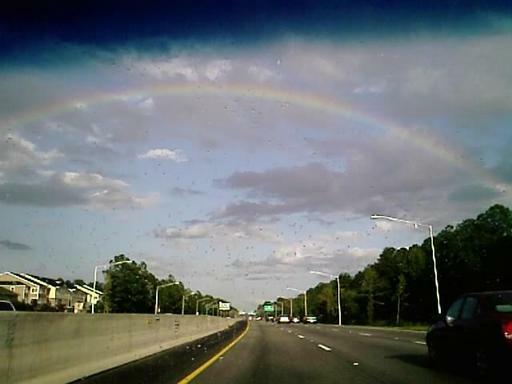 As we headed east, it was raining and we saw a beautiful rainbow. Once we hit the highway, we could see almost the whole thing. It was extraordinary. I didn't have my camera, so I whipped out my trusty Cingular 8535 cellphone and took some shots. It's 2 megapixels, so the resolution isn't as good as with the camera, but I think these turned out pretty well. Kathie was kind enough to turn off the wipers. After the fact, I realized that my phone has a panorama feature, and I probably could have gotten both ends of the rainbow as well as the middle. Still and all, good luck to you. In this case, they were making them a couple of cups at a time. So if you're entertaining, substitute "cup" for "ounce" and instead of making a single drink, you'll make eight at a time. We still managed to play pretty good cards. This one's from Peggy. 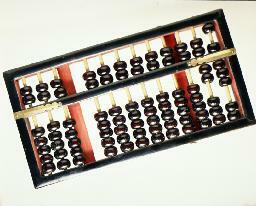 She said to use a calculator, because you won't be able to do it in your head. Though I'm sure some of you can. 1) Key in the first three digits of your phone number (not the area code). 5) Add the last four digits of your phone number. 6) Add the last four digits of your phone number again. abc,defg, or the phone number you started with in the first place. I finally did my tournament crosswords yesterday. I was cleaning house and found them in a pile of magazines. 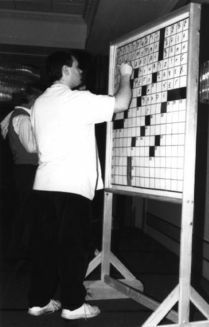 Years ago, my Dad and I entered the American Crossword Puzzle Tournament in Stamford, Connecticut. It was great fun aside from having to spend the night by LaGuardia Airport when our flight was cancelled. Since then, I've done the at-home version. For $20, they send you the tournament puzzles after the contest is over. You do the puzzles at home, timing yourself, and return them. They send them back to you graded, and tell you your ranking in the categories you can enroll in. So late this morning until mid-afternoon, I sat at the dining room table with the kitchen timer and a pencil and did puzzles. For the first time, I completed all the puzzles to my satisfaction. In every batch, there are two that are more difficult than the others. Usually, I get all tangled up in one of them, and can't complete it. They tell you which are the most difficult, so after I finished the third puzzle, I was dreading the fifth. The tough one was by my favorite puzzle constructor, Merl Reagle. I've done enough of his to know to pay careful attention to the title and hint at the top. I finished it with room to spare. The championship playoff puzzle is included in the packet, but doesn't affect the standing (unless you are one of the top three in your categories). These puzzles have three sets of clues: Medium, hard, and very hard. I chose the middle (hard) one. I completed it in the 15 minutes allowed...that is, I had something in every space, but was redoing one corner when I ran out of time, and when I spent a bit more time looking at it, realized that I got 8 or 9 squares wrong. Still, it was my best showing to date, I am sure. I'll let you know when I get the results. Shawn Lea is in Key West, enjoying herself (I think so, anyway...it's not hurricane season yet), while I'm stuck here working. There is no justice, is there? 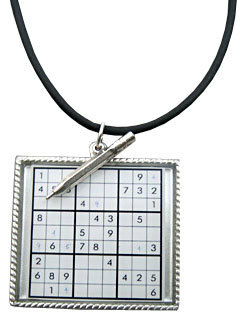 To placate me, she sent me this link for a beautiful sudoku pencil from Flax art and design. The sturdy pencil boasts an extra-large eraser, and holds 0.9 mm lead. Perfect for many hours of happy puzzling. 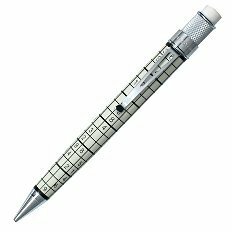 I do use a pencil for my sudoku and crosswords. I don't erase much, but like to have the option. I'd bet this pencil would work equally well for crosswords or the Jumble. Since I discovered that my friend Monica does her sudokus without writing more than one number in a box, I've taken up the challenge and only write in the box when I know what the number is. Interestingly, it's worked out quite well, even with four and five-star puzzles. I was speaking with a friend recently and remarked that I frequently do sudoku as I am going to sleep at night. He thought that would be stimulating and keep me awake. That does not seem to be the case. I often read the "Lifestyle" section of the paper, read the comics, then do the Jumble and Sudoku puzzles, sometimes the crossword as I drift off to sleep. When my eyes get heavy, I put the puzzle aside to finish the next day. I think that rather than stimulating my mind, it takes my mind off the stressors of the day, and allows me to slip into sleep. Someone should do a study on that. No, I don't mean foxes, or deer or bunnies. What I mean is the chase is on for more and better games. As a card player, crossword puzzler and now confessed Sudoku addict, I must say I find this very interesting. Japanese publisher Nikoli is Japan's most prolific puzzle publisher prints dozens of puzzle magazines. In addition, they ask readers to submit ideas for what would make a good puzzle, then they refine and perfect them, and print them in their magazines. If you want to be a millionaire, get these magazines, and bring the next big puzzle craze to Europe and the U.S. It helps if you speak Japanese. While most of Nikoli's games are original, Maki Kaji, Nikoli's chief says but a few are improved versions of older games, like Sudoku and Kakuro. I've run across Kakuro before. I find it maddening, but perfect if you find yourself on a long flight. Just have a good eraser. Click on the interactive feature in the NY Times article linked before, and try your hand at Kakuro, Masyu and Nurikabe. I just did. It's that time of year again. 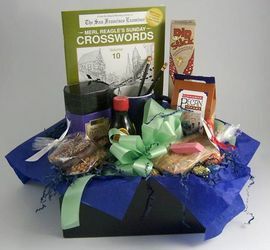 The 30th American Crossword Puzzle Tournament will be held in Stamford, Connecticut on March 23, 24 and 25. I already have plans for that weekend, so I will solve at home. For $20, you can do the competition puzzles at home and mail them in. They'll be hand scored and returned to you with your ranking in the skill divisions you qualify for (age, region, experience). If you have seen the documentary Wordplay, it was about this tournament. For the first time, you can compete by computer and solve the puzzles online the weekend of the tournament if you prefer. I personally like to solve puzzles by paper and pencil. For some reason, computer crosswords and sudoku just never grabbed me. There are eight puzzles, from easy to agonizingly hard. I'm pretty good and can usually finish about six of them pretty easily, one with difficulty, right around the time limit, and one I won't be able to get at all, throwing my scores into the toilet. We'll see how I do this year. My Dad and I attended in person a few years ago. It was a lot of fun. Marring the experience was the long, expensive bus trip from LaGuardia Airport to Stamford, and having our return flight cancelled. You know how tedious that is. Get on the plane, get off the plane. Get back on, get back off. Stand in line to get a reservation for the next day. Get to a cheap hotel right after the restaurant has closed. Call work to say you won't be in the next morning. Bus back to the airport the next morning. Fly home. I might try it again some time as part of a long leisurely car trip. If cruises are more your thing, you can attend the Crossword Puzzle Cruise with Stanley Newman on the ms Westerdam. This weeklong cruise will sail for a week leaving Feb. 3, 2008. 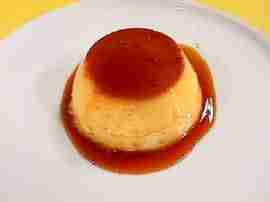 This recipe, from my friend Karen, will delight anyone who loves flan, creme brulee, creme caramel, or any in that family of vanilla custards. Of course, for this one, you should like cinnamon, too. Karen and her husband, Dan, made this when they hosted bridge once in the past. Come to think of it, they are due to host next month. Maybe, just maybe, she'll make it again. My group gets together once a month, on a Saturday evening, for food, drinks, sweets (not only dessert, but bowls of chocolates on the card tables), and good cards. Though we are all pretty good, I think, this is about as laid back and non-cutthroat a group as you could hope to find. Perfect. The only sad thing (well, one of them) is that our lives are getting so busy that fewer can make it each month. I myself have missed the last two get-togethers due to schedule conflicts. My turn to host in April. I'd better make sure to be free that date. Bring the milk and 1/2 cup of sugar, and the cinnamon sticks to a boil over medium heat. Once they come to a boil, remove the pot from the heat and allow it the milk mixture to cool for 30 minutes. Heat a small, heavy saucepan. Add 1/4 cup of sugar. Stir until melted and amber. Gradually add the remaining 1/2 cup of sugar, one tablespoon at a time, until all is dissolved. Pour into a loaf pan, or into four to six individual dishes. Lightly beat eggs in a bowl. Whisk in milk mixture and vanilla. Strain. Pour milk mixture over the dissolved sugar. Place loaf pan or individual custard dishes into a larger baking dish, and add hot water until about halfway up the sides of the inner dishes. Bake at 350 degrees for 30 minutes for 1/2 cup sized custard dishes, one hour if using a loaf pan. Remove from the oven, then refrigerate until cold. Turn upside down onto dessert plates and serve. Here's a recipe that uses evaporated milk and condensed milk. This 1 3/8" by 1 1/4" pendant hangs from an 18" rubber cord has a sterling silver lobster-claw clasp. It also has a pewter pencil charm dangling from the cord. A great gift for that person who's always working on a puzzle. And it's on sale for $29.95. And the shipping is free! Paintball has been a popular game/sport with men and some women since the 1970's. It involves individuals or teams shooting at one another with airguns using paint for ammunition. Gear includes guns and paint, as well as protective gear, and it can be played indoors or out. Wikipedia estimates that 10 million people in the US play annually. Considering we just hit the 300 million population mark, that means that one out of thirty men, women and children play. It seems that it was developped by two guys who were inspired by the man-hunts-man short story, The Most Dangerous Game by Richard Connell. It's an excellent read, by the way. Now, a game for big boys: Tankball. 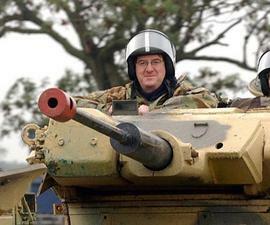 It's like paintball, only, well... from tanks. Upping the ante a bit, you have to go to Northhamptonshire England to try it. Testosterone junkies have it there, and you can wait until it comes to a field near you, or fly there to try it if you can't wait. It's Halloween. 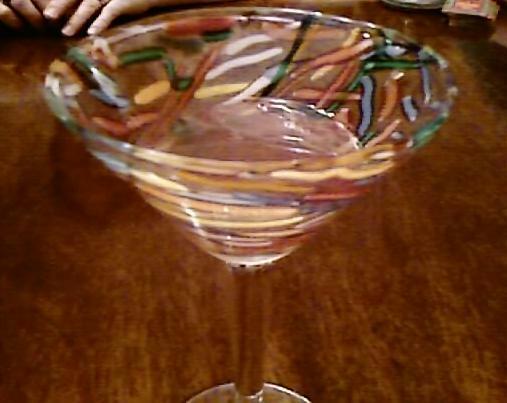 It might be the only time of the year you can use this concoction. Mix together in a jar to produce a nice, deep blood red. Hershey's Chocolate Syrup was commonly used as fake blood in black-and-white Hollywood movies. 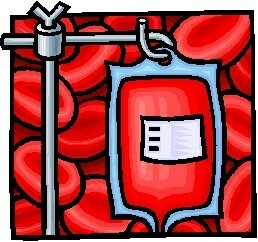 People who live in high altitudes have more blood than people who live at sea level. For more facts, go here.